We offer a number of stone products for you to choose from in Collingwood. At Flesherton Concrete Products, we carry a number of stone aggregates to meet the needs of our residential, commercial, industrial and communal customers. 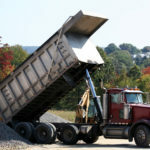 Whether you need crushed stone for a landscaping project or you are looking for stone solutions for paving and construction, you’ll find the products and services you need with us. We believe in providing customer-centred services that truly allow you to select the stone you need without worrying that you won’t have enough or will have to sacrifice on quality. That’s what makes us your first choice for aggregate products in the Collingwood, Ontario area. When you need stone products, including limestone, you’ll find that we offer a variety of options for you to choose from, as well as various sand and gravel types. We will also deliver your stone products straight to your project site, so you don’t have to worry about transportation or taking time away from the work at hand. At Flesherton Concrete Products, we are a family-owned business that has been providing high-quality aggregate supply for over 30 years, and you can depend on us for the products and services you need to make your project a success. Our largest sales of stone are on slingers used for under basement floors and for the weeping tile around the outside of a foundation. We also fill foundations with stone. If you need to request stone for an upcoming or ongoing project, contact us today to get started. We cover a broad service area and look forward to supplying you with all your aggregates and concrete supplies. At Flesherton Concrete Products, we offer stone to customers in Collingwood, Wasaga Beach, Flesherton, Orangeville, Owen Sound, Barrie, Stayner, Mulmur, Shelburne, and Mount Forest, Ontario.